If you’ve never seen the world clearly, how would you know you are missing something? 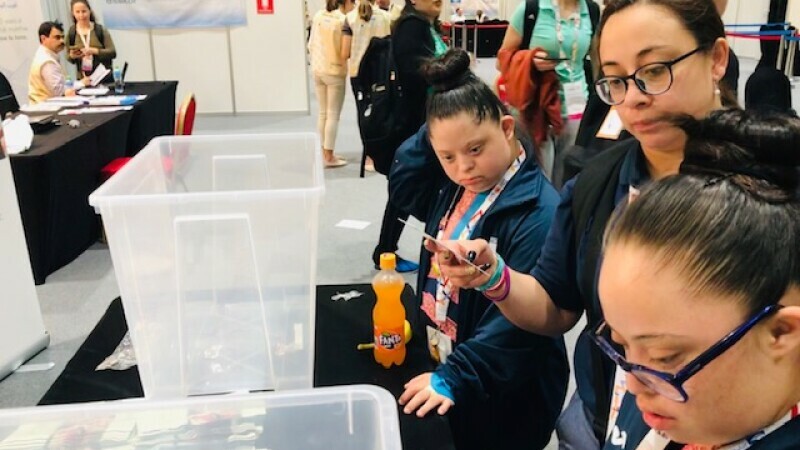 For the last four days, thousands of athletes have been seen at the Special Olympics-Lions Clubs International Opening Eyes screenings at the Special Olympics World Games and many lives have been changed, including those of the local volunteers from Abu Dhabi assisting with the screenings. There are volunteers from the Cleveland Clinic Abu Dhabi, Filipino Optometric Association in Abu Dhabi and of course, the Lions Club. Augsto Di Pietro, Local International Representative and Coordinating Lion Officer explained how important it was to have an event like Special Olympics held in the Middle East where he feels inclusion should be highlighted more. For 18 years Lions Clubs International, the world’s largest volunteer service club organization, has been partners with Special Olympics, providing over 400,000 athletes with vision care and 210,000 athletes with prescription glasses. While many people might assume that most athletes have already been screened back home, that is not always the case. They may have the wrong prescription or may have never been given proper eye care over the course of their lifetime. After each athlete has been given an exam, they are able to choose their own frames which are available onsite. Safilo Group - a leading eyewear creator and worldwide distributor - supports the Opening Eyes program by supplying free optical frames and sunglasses. The frames range from different shapes, sizes and designs and there are also Erin’s World Frames available — which are frames designed specifically for people with Down Syndrome. Meanwhile, Essilor International – the world leader in ophthalmic optics – is the official global supplier of lenses to the program. David’s favorite part was getting a pin to add to the assortment of other pins on his lanyard from the Special Olympic World Games, but as he walked away he turned around and yelled a big "Thank you!" to everyone who helped him to pick out his new pair of glasses. An athlete from Rwanda came to Opening Eyes this week with cranial facial swelling. After being seen at the clinic, he was sent to the Cleveland Clinic in Abu Dhabi for more extensive testing, but also to be fitted for a pair of 3D printed glasses to better fit his facial shape, giving him the proper eyewear that he needs to see clearly.